KidzMondo is a project driven by pedagogical fascination, focusing on academic benefits for children as well as complementing school curricula. Because the safety of our young visitors is our primary concern, we have taken careful measures to guarantee their safety and make KidzMondo a 100% safe environment for children. KidzMondo’s constitution and its ideas of equality, respect for all, and the rights for self-expression and creativity are essential. As the children explore the world of KidzMondo, they will be learning valuable lessons in what it means to be a citizen “kidizen”, as well as civic and social responsibility, essential self-reliance, and fiscal maturity. 1. All Kidizens are Equal and United in play. 2. Kidizens have the right to be Happy and Free. 3. Kidizens have the right to Explore, Discover and be Curious about the World. 4. Kidizens have the right to Express themselves and be Creative. 5. Kidizens have the right to be treated with Respect. 6. Kidizens are always Polite, Honest and Kind. 7. Kidizens have the duty to Respect others including their elders. 8. Kidizens have a duty to Help others where they can. 9. Kidizens have a duty to Protect nature and the environment. 10. 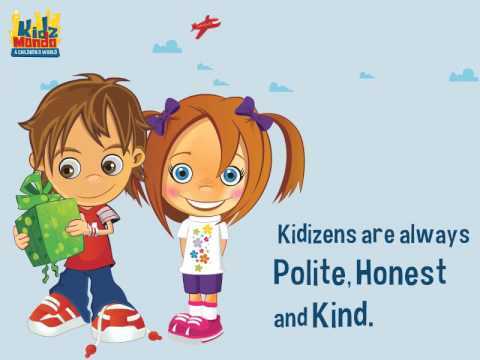 Kidizens have their rights and duties guarded by the constitution of KidzMondo.